The hair shaft consists of 2-3% of omega-3s, which are also found in the scalp’s cells and sebum, known to hydrate the scalp and hair. Since the body doesn’t produce its own omega-3s, ensure silky strands by consuming walnuts, salmon, sardines, trout, mackerel, avocado and pumpkin seeds. 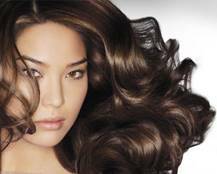 Support the glands attached to your hair follicles with zinc, a mineral whose absence causes hair to weaken and fall out. Zinc also promotes balanced hormone levels, which is directly linked to hair health. To strengthen those tresses, opt for oysters, whole-grain breads, nuts, beef, eggs and shrimp. Vital for the production of hemoglobin, which is responsible for oxygen transport through blood, iron is necessary to ensure healthy blood flow to stimulate hair growth. To encourage hair growth, reach for raisins, dried cherries, eggs, kale, dates and whole-grain cereals. Interested in more tips on how to conquer hair loss and grow fuller, denser, more vibrant hair? Check out HairMax’s Healthy Hair Growth Guide. I have some problems with my hair. As i see this article, i am extremely excited. Thanks a lot!